Michelle Obama tagging a wall in Washington D.C.
*Michelle Obama marked International Women’s Day (literally) with some spray paint and a wall. 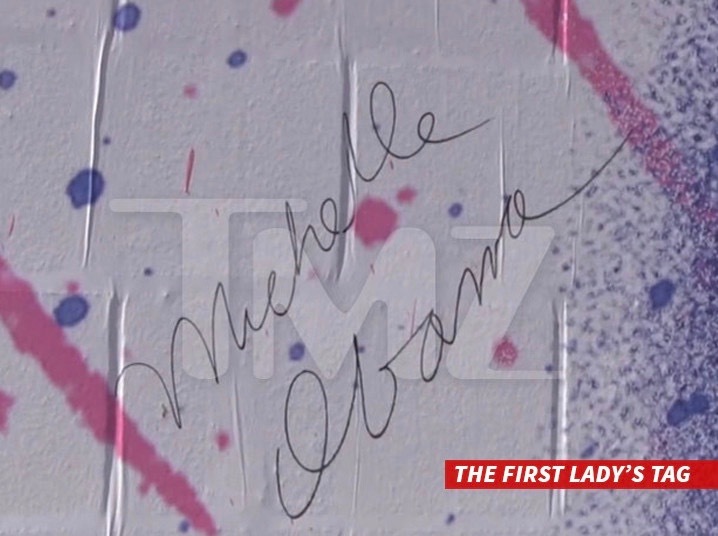 FLOTUS joined famous street artist Mr. Brainwash in tagging a wall featuring dozens of hearts in honor of her Let Girls Learn movement, which helps adolescent girls around the world attend and complete school. Mr. Brainwash and his friend, Josh Rabbany, organized the outing along with the White House, according to TMZ.